After the word itself, the sentence is the most basic unit of communication. So it’s the sentence that your readers will notice first. 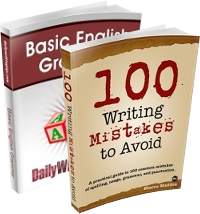 They may not see your mistakes in spelling, and may not notice your mistakes in grammar, but they are likely to notice when you end your sentences too early or too late. Other mistakes are mistakes in formality, and may not disturb your communication. But a sentence represents a thought, and if your readers can’t tell what your thoughts are, communication will be hampered. The basic rule is to end your sentence when your thought ends. You may have lots of thoughts tumbling on top of the other, but try to separate them for easy digestion. Put a period at the end of the thought, or if you’re asking a question, put a question mark. We’ve already cautioned against the overuse of exclamation points, but they are not toxic in small quantities. If the words don’t make a complete thought, don’t put a period after them. A real drag. What’s a real drag? I didn’t tell you. So I shouldn’t have put a period after those words. It wasn’t a complete thought, and I shouldn’t treat it like a complete sentence. In my opinion, it’s more common for your reader to become confused with too few periods than with too many. Too few periods forces your reader to separate your thoughts because you didn’t. The other extreme is equally painful, though. I had a boss who put a period about every two words. He talked like that. He tried to be. Very calm. Paused every few words. For emphasis. I agree that, when in doubt, go with more periods than you think you should. 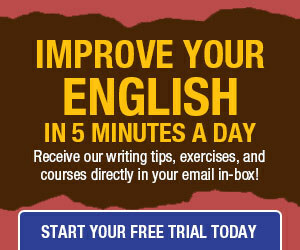 The main risk is to write too long, complex, poorly structured sentences. ” As per out telephonic conversation, please find attached the required document”. “Our telephonic conversation shortwhile ago refers.